Tickets have sold out and registration for this event is closed. Thank you! 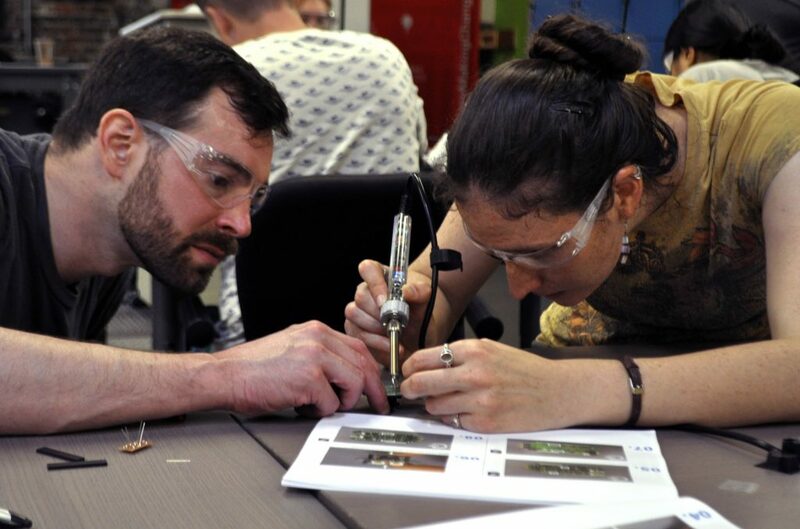 NextFab has partnered with Inglis to host an Accessibility Hackathon during Philly Tech Week 2018. In this one-day marathon of creative problem solving, participants will join Occupational Therapists, Adaptive Tech Professionals, and Tech Experts to help solve real-world problems encountered by disabled residents of Inglis House. We’re challenging ourselves to design and prototype solutions to challenges that range from designing better call bells and feeding systems, to hacking wheelchairs to make them easier and safer to drive, to dreaming up new devices that make everyday activities a little easier. No experience is necessary; you need only bring your creativity and can-do attitude. If you have experience with coding, fabrication, or accessibility design, that’s a huge bonus, and we need your help! Come prepared for a full day of challenging fun and prototyping! NextFab is a workshop, so appropriate attire is required – long pants and closed-toe shoes. We will provide basic instruction on use safe use of the tools, and hands-on technical help from engineers, expert fabricators, and adaptive tech professionals. This event is open to the public, aged 18+. Founded nearly a century and a half ago, Inglis’ mission is to enable people with disabilities — and those who care for them — to achieve their goals and live life to the fullest. Inglis House is a specialty nursing care facility providing long-term, residential care for 252 adults with physical disabilities, including multiple sclerosis, cerebral palsy, spinal cord injury and stroke, among others. Residents receive rehabilitative medical and nursing care; physical, occupational and speech therapies; and a selection of more than 10 social enrichment and therapeutic recreation programs every day. Registration for this event is closed. Thank you!